Budget label, alternative label, tax-minimisation label, possibly all three. 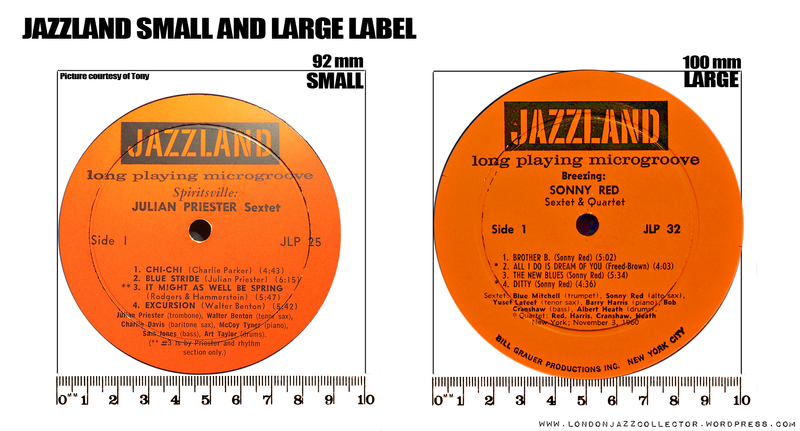 Labels are both standard LP size 100mm diameter (which some collectors call “large”) and a smaller 92mm diameter, (recognisable by the narrower band beyond the deep groove and strip of exposed vinyl land around the label) – exact changeover points not yet known. 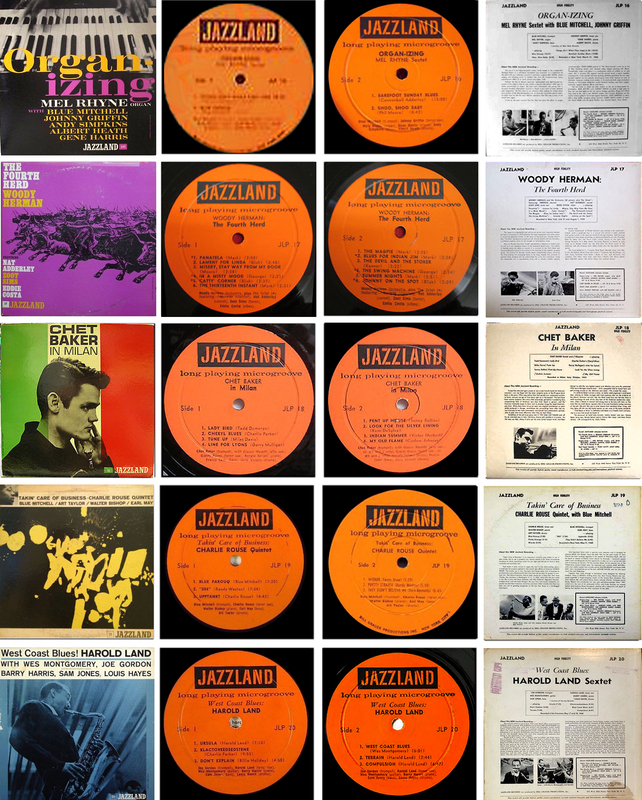 Labels are orange for mono, black for stereo. 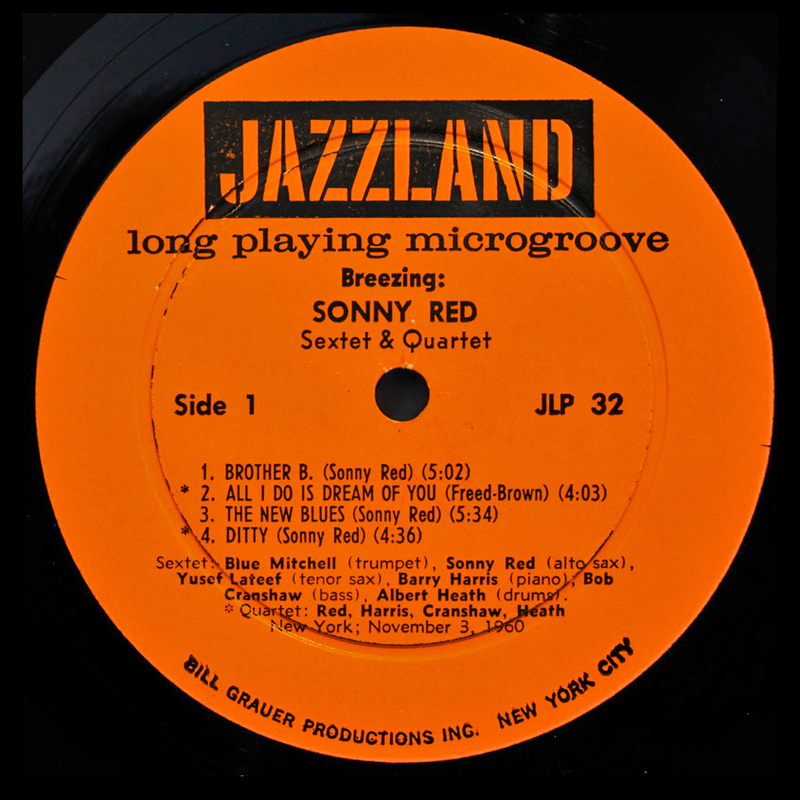 Original pressings are mostly all deep groove. Though Abbey were famed for excellent pressings for Prestige in the mid to late Fifties, the consistent bold capitalised handwritten AB found on many Prestige title is of a different hand here in 1961: thin spidery and feint and of lesser engineering and pressing quality, if it is the same Abbey. 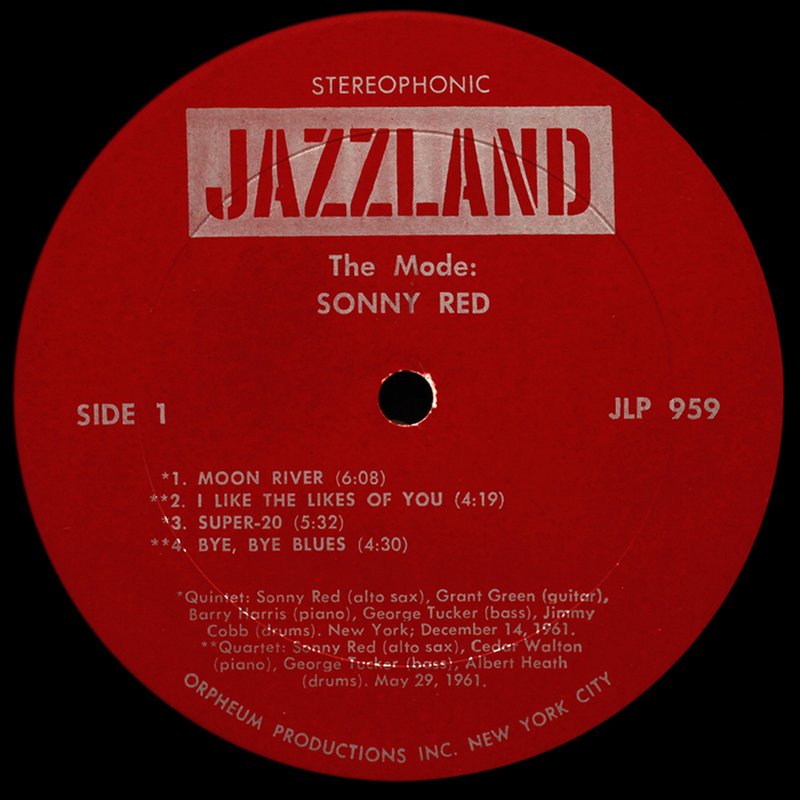 Both US Riverside and Jazzland pressings are sometimes troubled with presence of surface noises attributable to manufacturing issues, possibly second grade blank lacquers, factory cleanliness failings, process shortcuts, who knows. 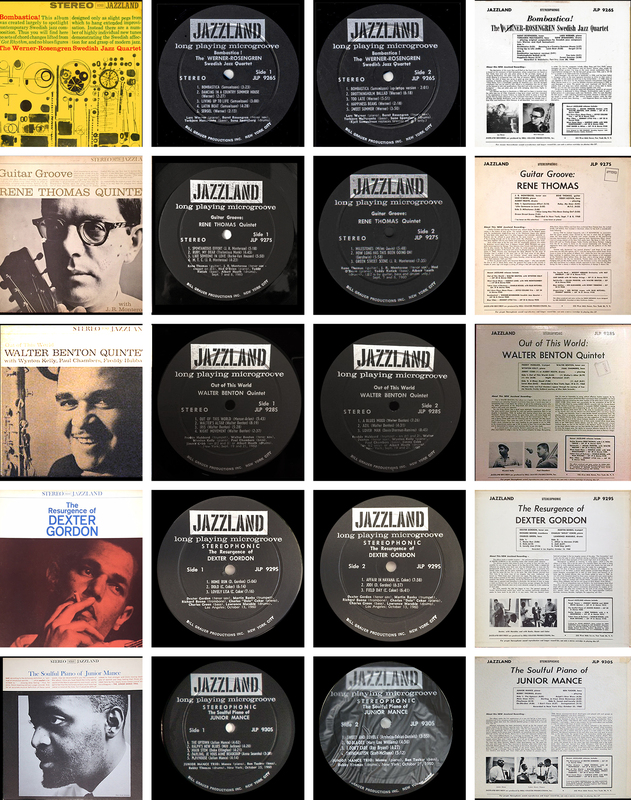 Neither Bob Weinstock at Prestige (notorious for use of recycled vinyl on some New Jazz pressings) nor Orin Keepnews at Riverside seemed on top of manufacturing quality, but focussed on artists and recording, cutting the cost of manufacture, sometimes with detrimental results. Here is an authority from 1962, declining to sign off a test pressing of JLP 962 (Red Garland, The Nearness Of You) by Abbey Record Mfg. Co, N.J. 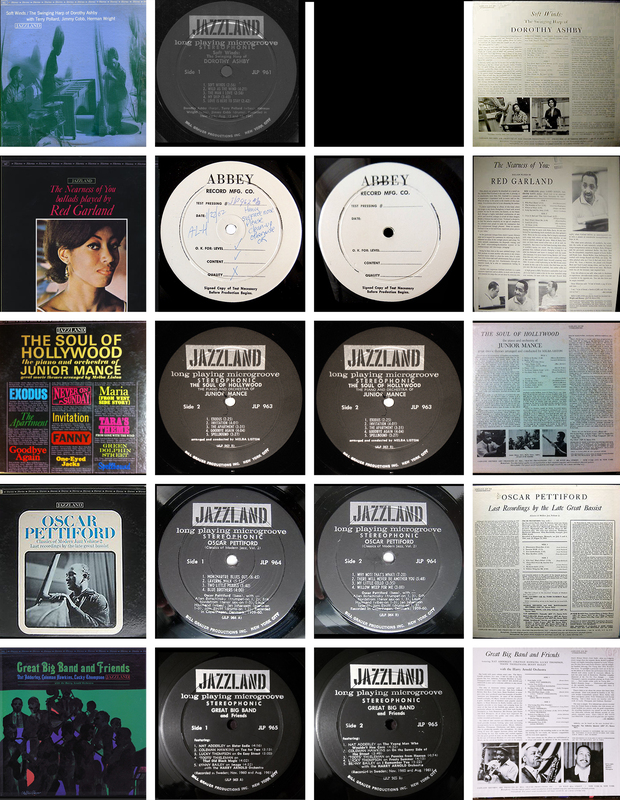 The notion that no-one could tell because audio equipment then was still fairly primitive goes out the window. “Otherwise OK”? 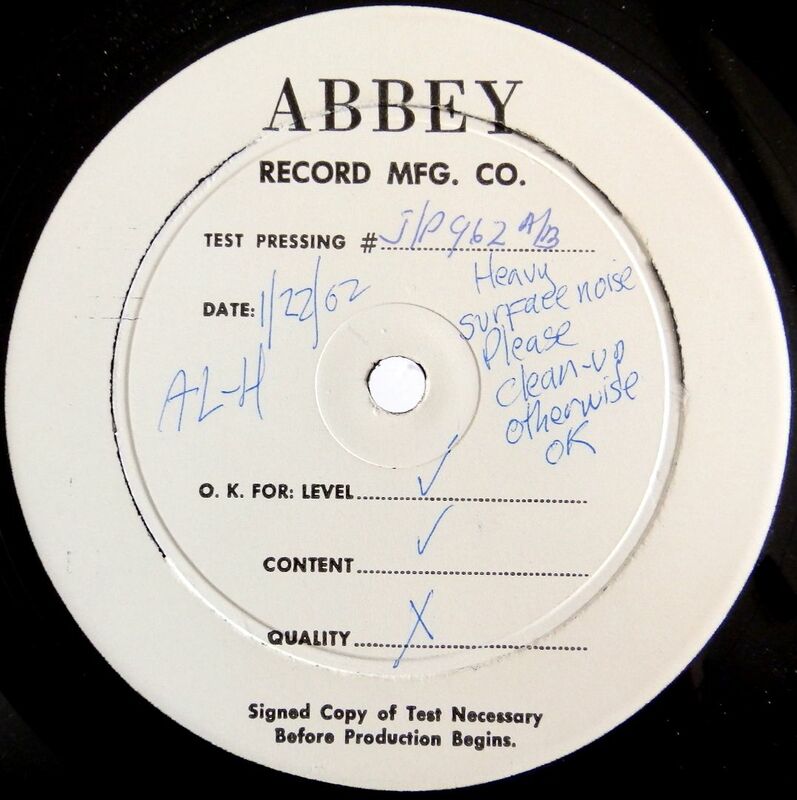 So the culprit of the “noisy pressing” is – Abbey (or its suppliers). How were they supposed to “clean itup”? (“Wipe it, you mean like with a cloth”?). 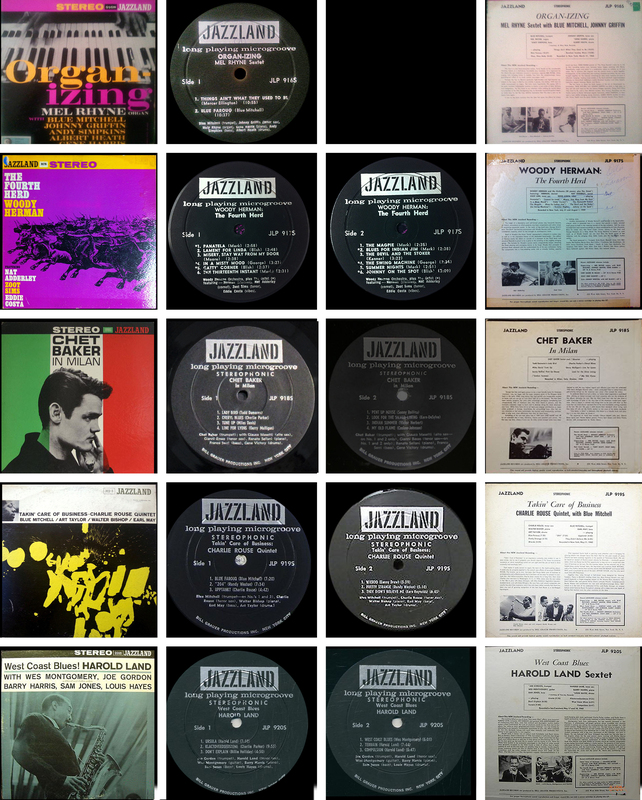 This test pressing was found on a Japanese Yahoo site. 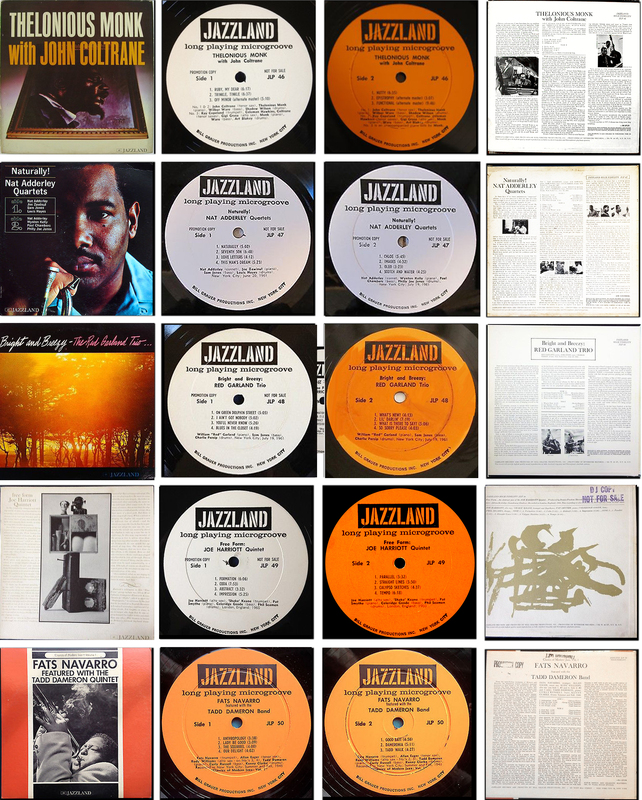 It takes a very dedicated collector to buy a failed test pressing. I mean, why would you? 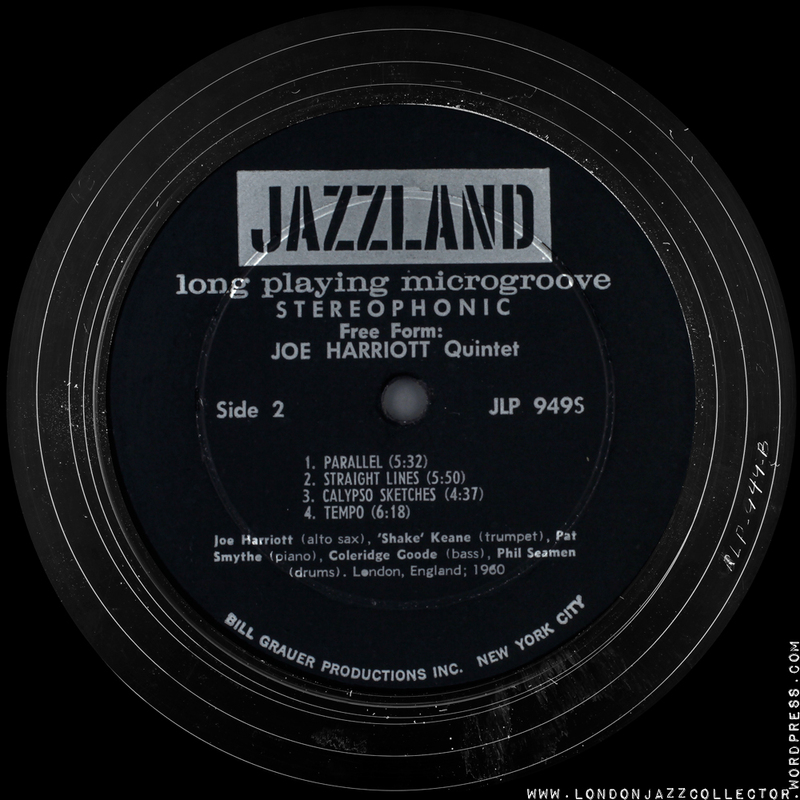 The Riverside sub-label Jazzland is often overlooked, perhaps because it was initially a reissue vehicle for Riverside recordings. 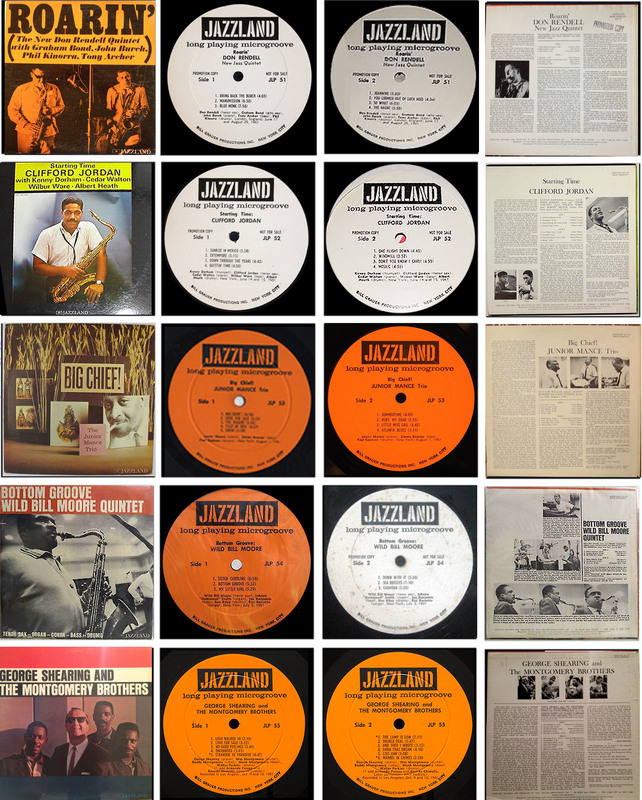 However it developed as an interesting source of original recordings not found elsewhere, including some from my homeland including artists Joe Harriott, Don Rendell and Tubby Hayes. 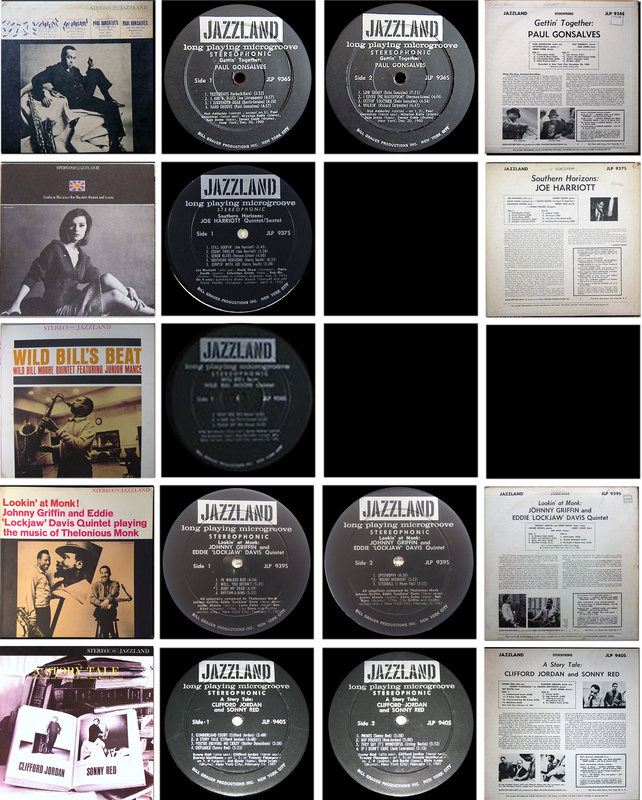 As a form of international repayment, I determined to produce a definitive visual reference set of the Jazzland label. 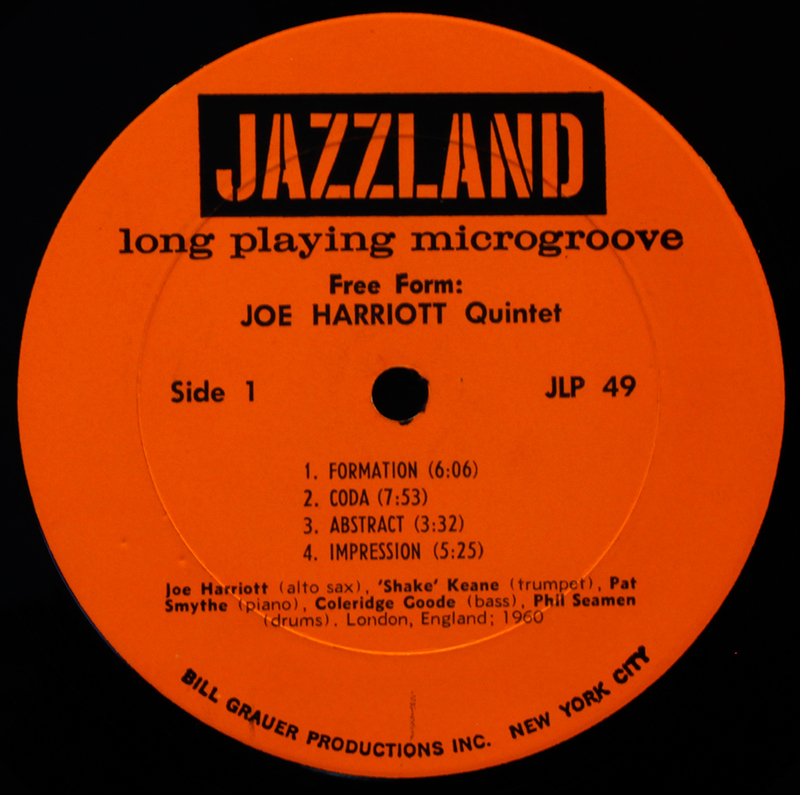 Not as easy as at first I hoped, occasionally Side 2 label was unable to be found (many ebay sellers find it too onerous to picture both labels, or indeed any). 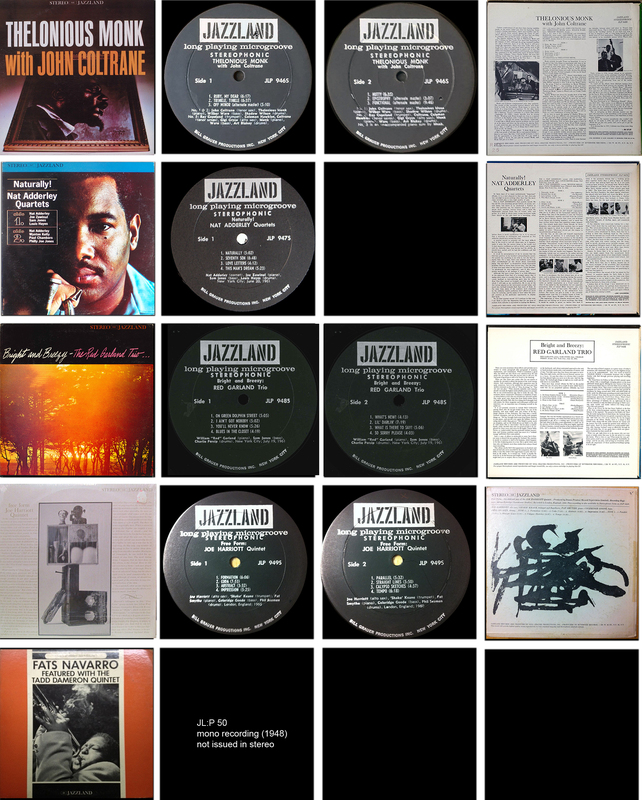 This means rare items with only few sales, only Side 1 has been found. 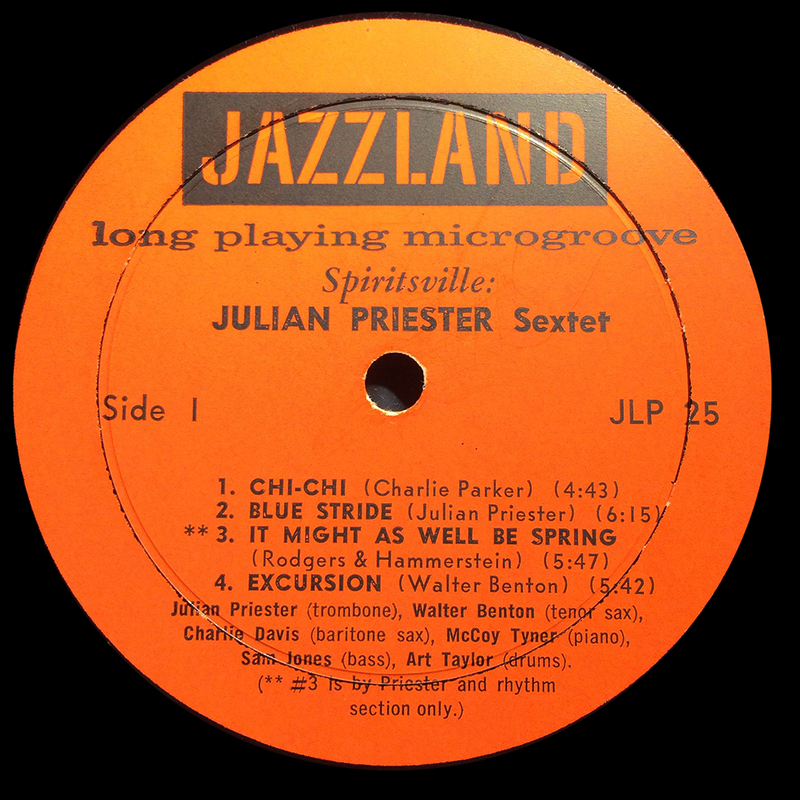 Promos were given preference, but it is still a conundrum why many promos were not deep groove, while the commercial release is mostly solid deep groove. 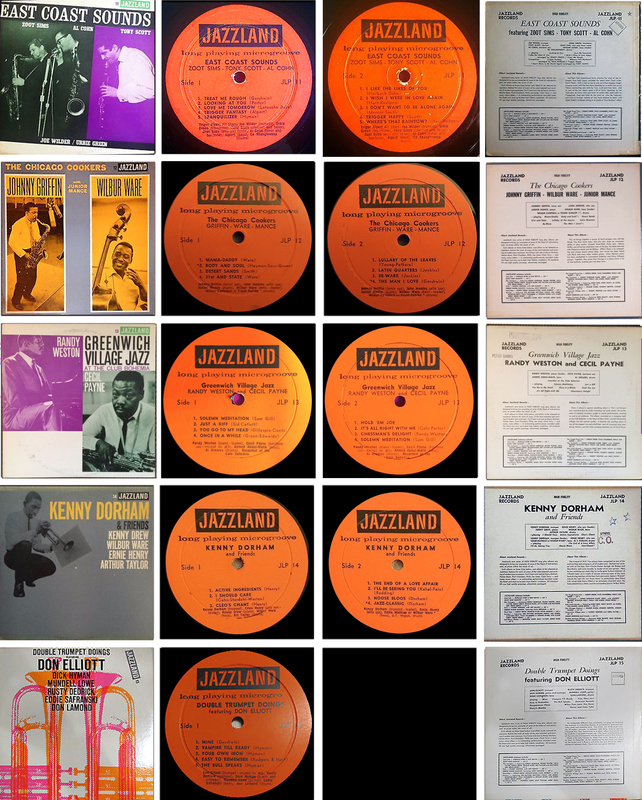 Skimming auction results reminded me that original deep groove pressings are very frequently found only on Japanese jazz-seller sites, the records grew wings, and found their way to where collectors appreciated original provenance. 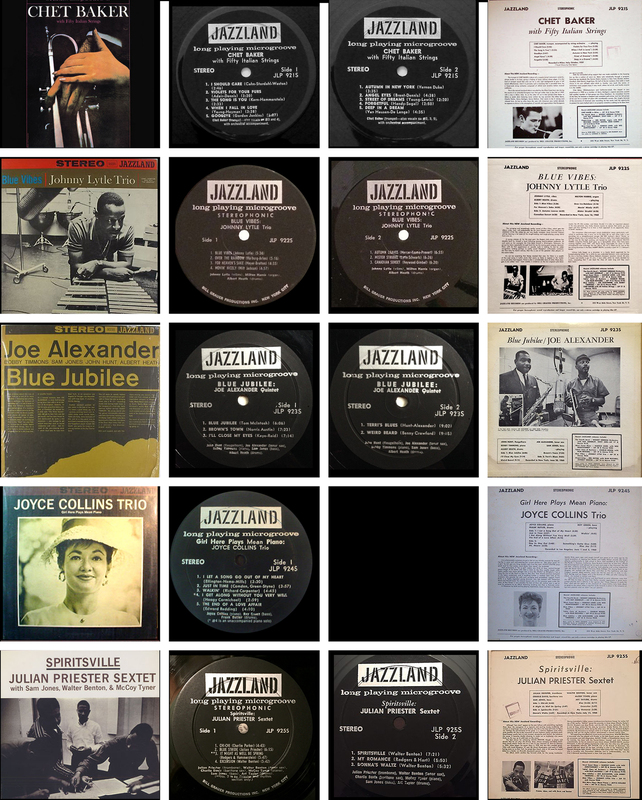 There are just under a hundred titles in the Jazzland catalogue, a few instantly forgettable, but others repaying serious interest, and mostly at pocket-money prices. 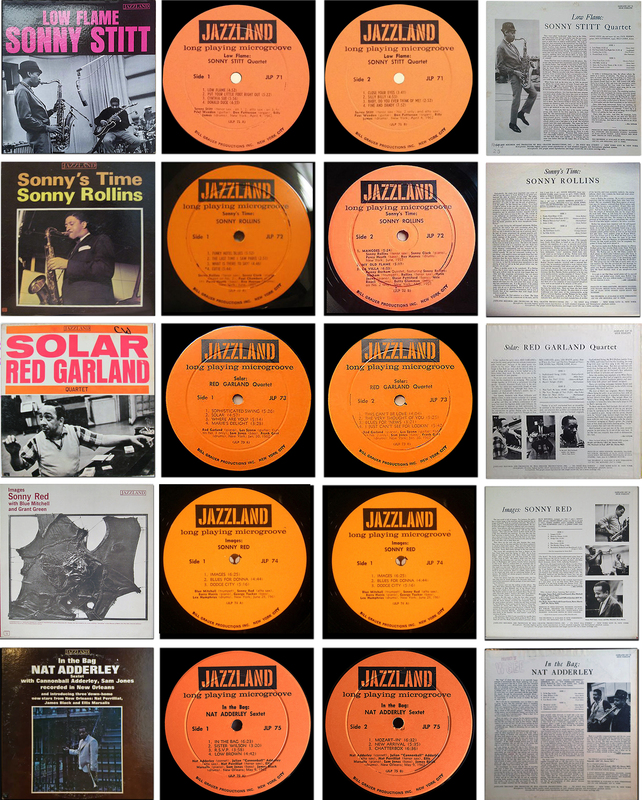 I’ve tried to assemble a visual set of each record, inevitably falling short of archival quality due to the sometimes very poor standard of photography record by record sellers. These are the best of what I found, in a limited amount of time, fixed in Photoshop where I could correct the wonky perspective. 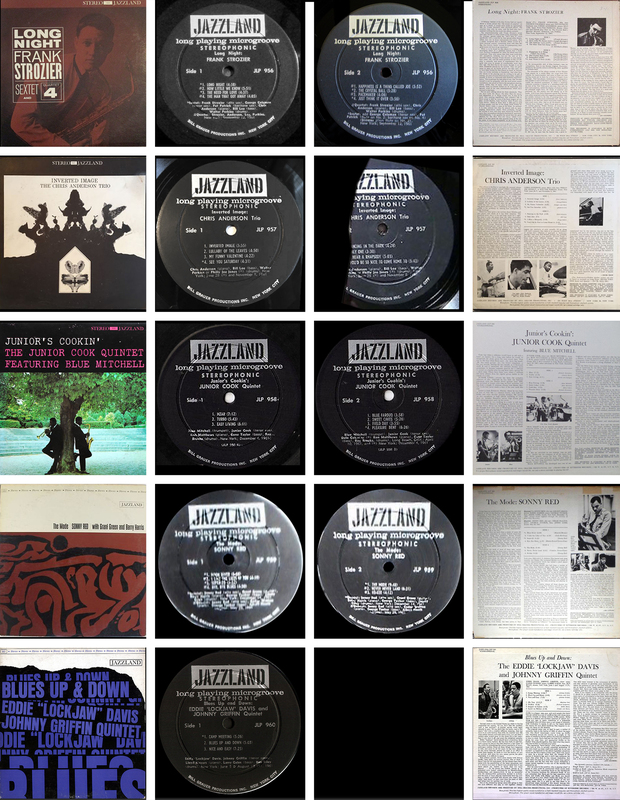 In the research process, I discovered a number of Jazzland records I have never seen in the flesh and didn’t even know existed. 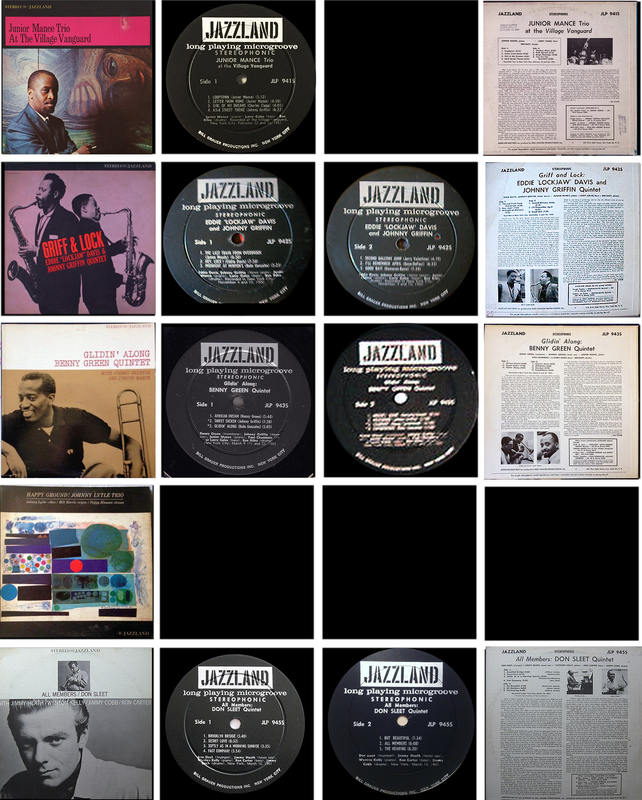 It also put my dozen or so Jazzland titles in context of the label history, a piece of modern jazz history deserving of attention. 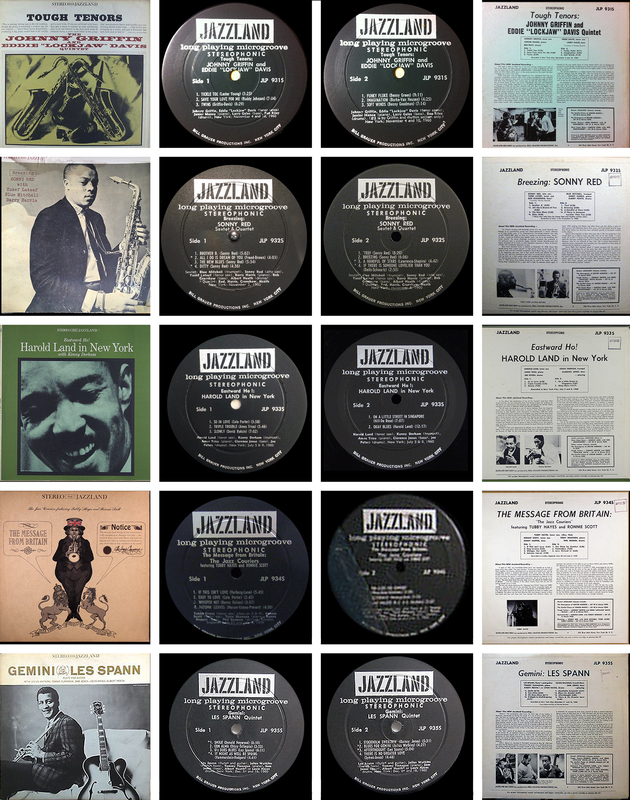 If you put to one side the royalty of modern jazz, Blue Note and Prestige, there is a rich seam of jazz musicians struggling to make a few dollars to pay the rent, and producing interesting recordings. 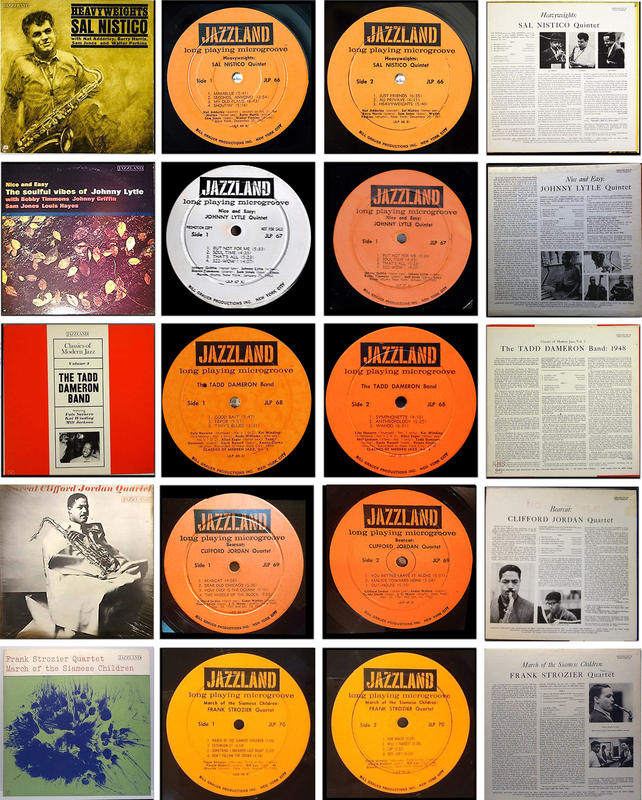 The research has taken a bit of time away from reviews, but hopefully you may find some new friends to make here in the full catalogue. 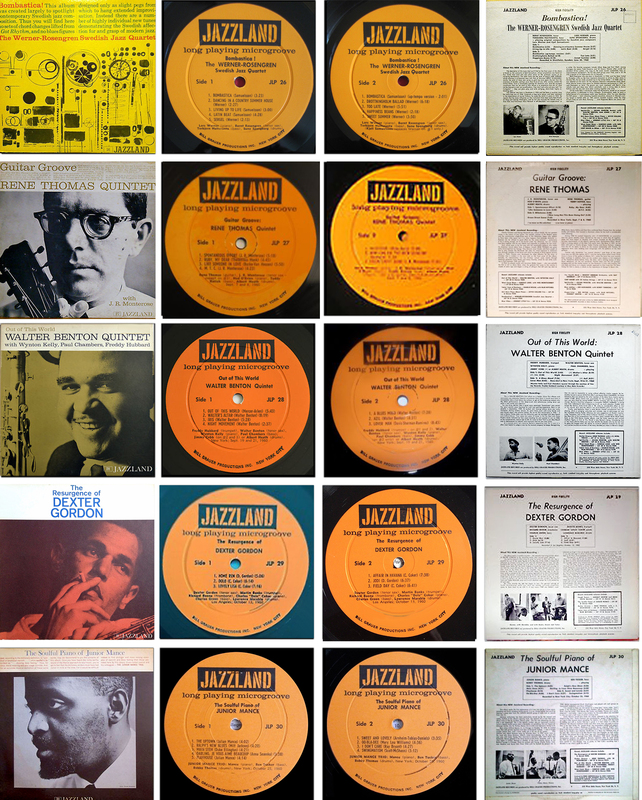 Given the spiralling price of “royalty”, I think there is a lot of enjoyment to be had through Jazzland, and many of the other lesser labels. 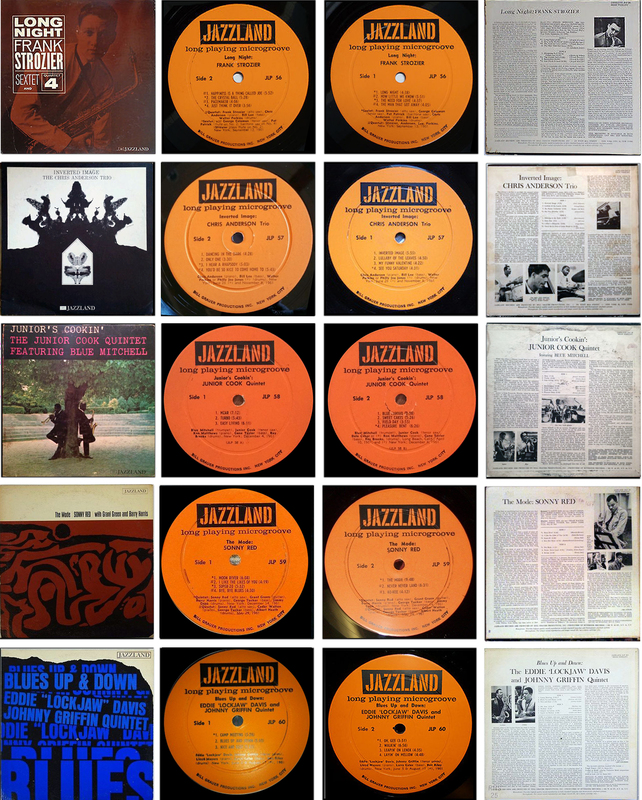 Only JLP 8,15 and 23 Side 2 labels remain stubbornly missing. 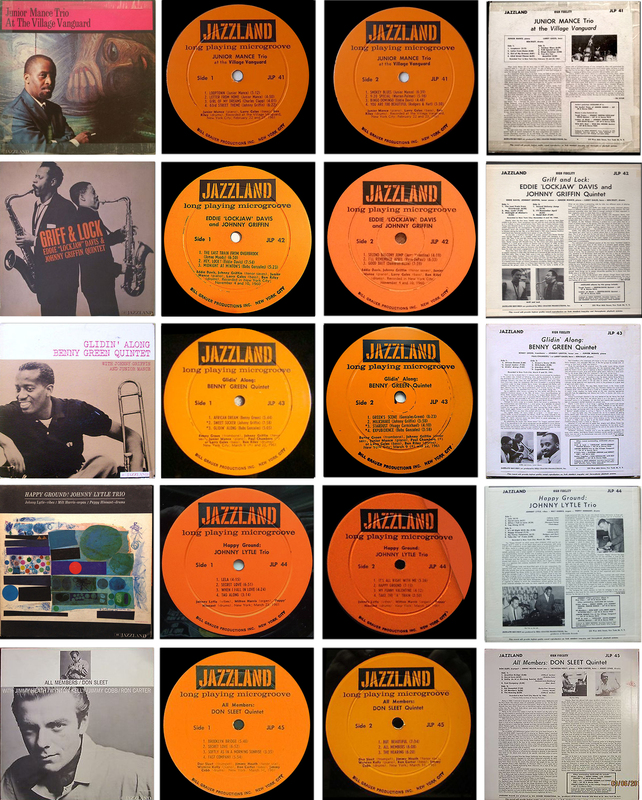 I herby lay a curse on sellers who do not include label-pictures with their auction offerings. 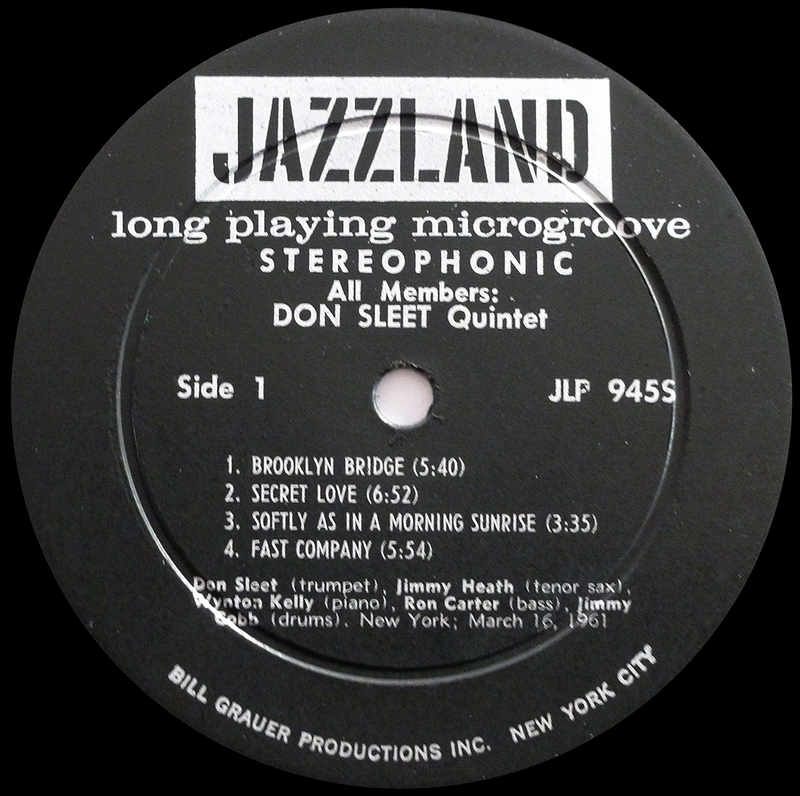 At this point, around 1964-5, mono become exceedingly rare and difficult to track down, deep groove is replaced by “normal” single-step pressing ring, stereo takes over , and Riverside re-issues resume in place of original Jazzland recordings, as the Jazzland label runs out of steam, but leaving behind a significant legacy of jazz in its day. 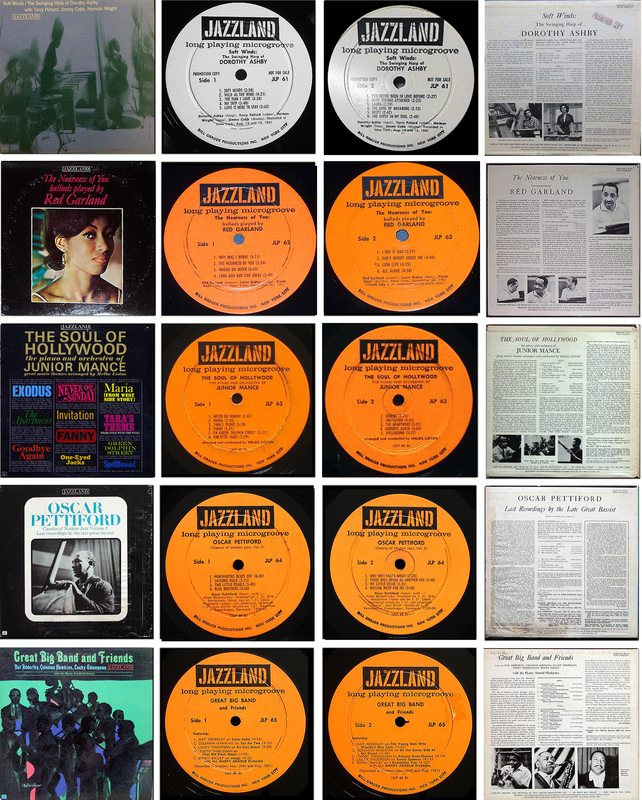 A bumpy start for stereo as “the next big thing” at the time, but it was several years before the majority of American home-listeners had bought a new stereogram, so often the stereo edition is much more rare than the mono issue. 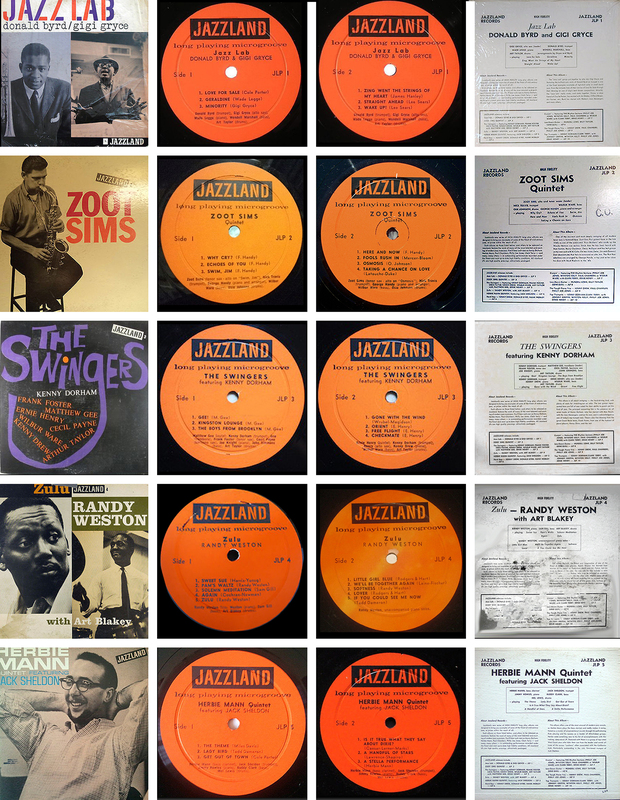 Some titles are rare in themselves, lesser artists and those whose records did not sell well, so rarely turn up for auction. 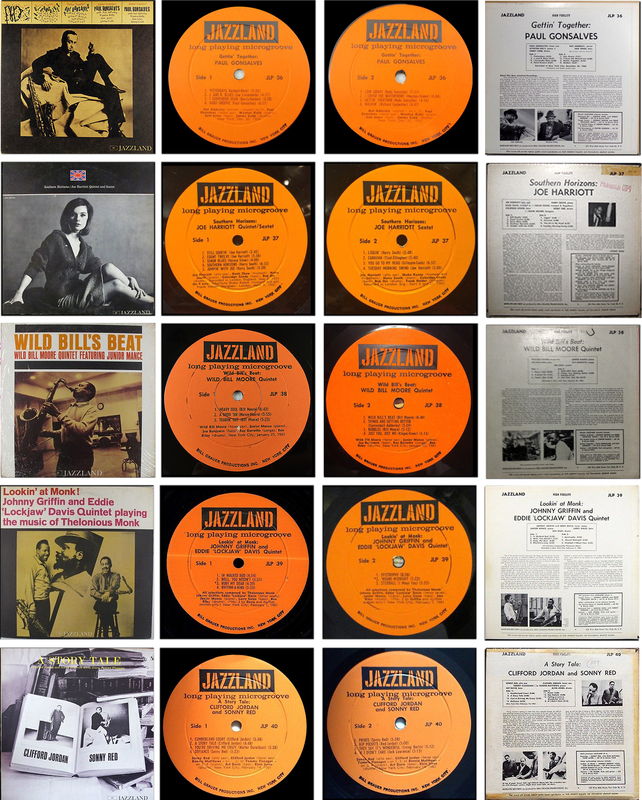 Not all labels could be found among auction results, and those found did not include the very earliest deep groove pressings of some titles. 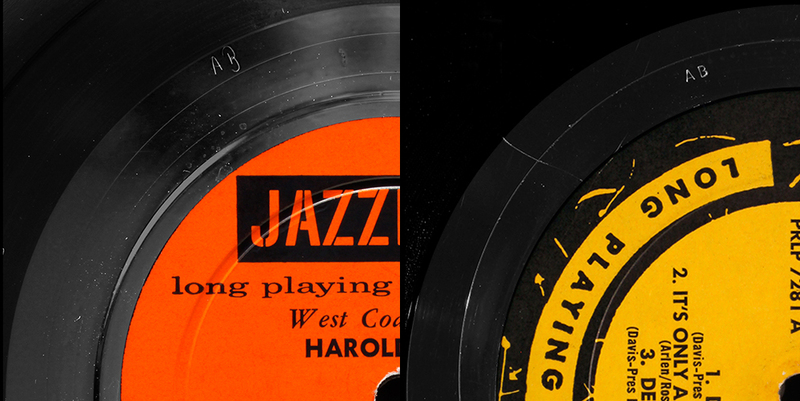 It is also unclear where the small 92mm label or the regular 100mm label is the original first pressing. Hence these sets are provisional, work in progress, some errors and omissions no doubt, as is normal for a “first cut” – to be improved on in time. 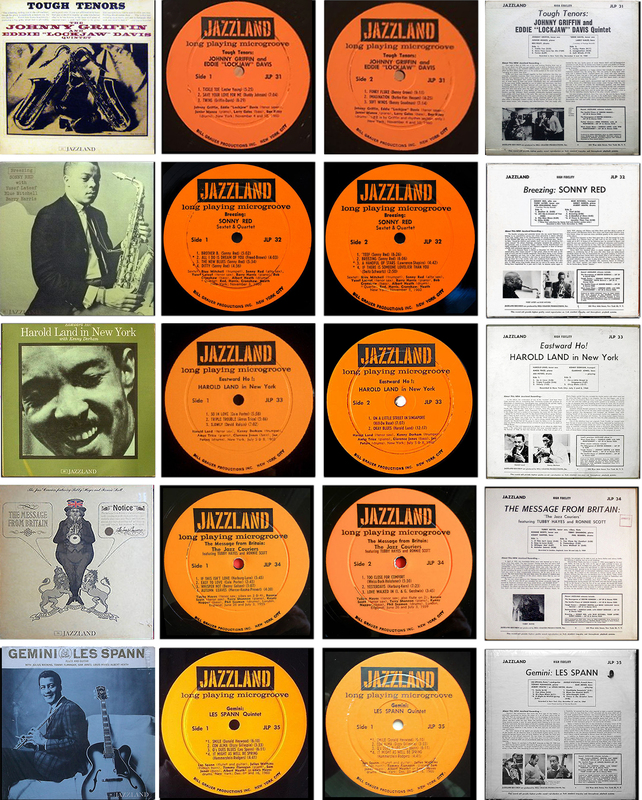 The stereo series runs from 916S to at least 996S, thus far research incomplete. Series continues, to be added as time permits. 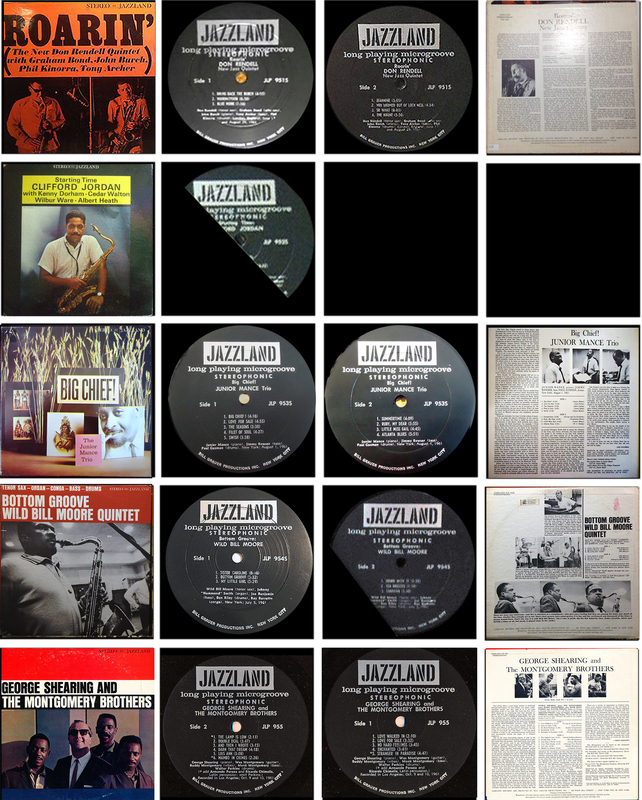 JLP 39 Griffin, Johnny & Eddie Lockjaw Davis – Lookin’ At Monk! 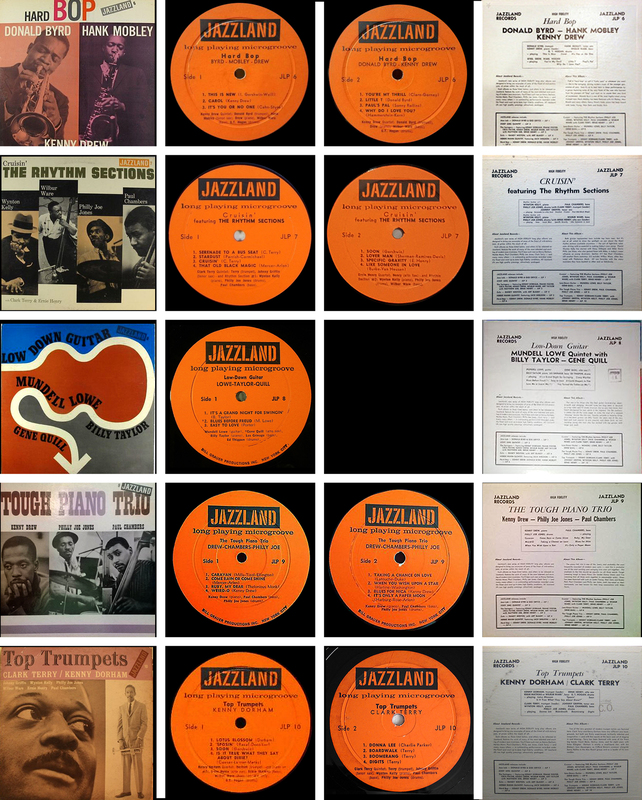 JLP 78 Metronomes, The – Something Big!